Maca is a rich source of vitamins, minerals, enzymes, amino acids (20 different kinds — that’s just about all of them! ), and antioxidants. Glucosinates are just one of those antioxidants — the same substances that make broccoli, cabbage, and other cruciferous vegetables so good for you. Maca has been used to relieve menstrual issues and the side effects of going through menopause. Some women have used it to alleviate cramps and hot flashes, much as it has been used by indigenous South American cultures for millennia. Outcomes in this area are largely anecdotal, and shouldn’t be used in place of consulting with a practitioner. Many regular users of maca experience an increase in energy level within days of beginning its use. It’s also known for increasing stamina and endurance, which is why some athletes take maca for peak performance. When used in conjunction with a good workout regime, supplementing with maca may help to preserve muscle mass. Maca is also used by those seeking to sharpen and expand mental activity and memory. Maca has been used as a remedy for ongoing fatigue. If you find yourself tired much of the time, experiment with maca to see if it helps. Just a small amount could be exactly what you need for a boost! An increase in mental energy and focus has been reported as well. 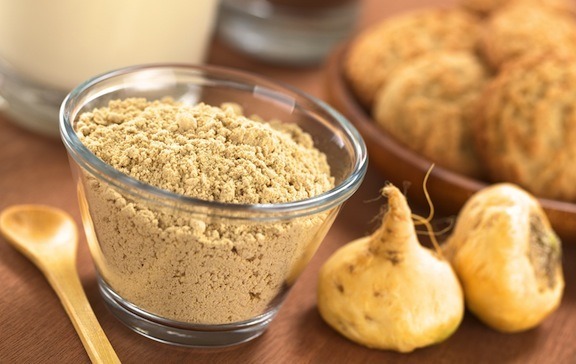 As an adaptogen and tonic, maca may boost your overall health in a number of ways. It supplies iron and helps restore red blood cells, which aids in avoiding anemia and cardiovascular diseases. Maca is also believed to promote prostate health. The nutrients in maca have long been valued for keeping bones and teeth healthy and help heal wounds more quickly. Bear in mind that most of these claims, while certainly not unfounded, have not been sufficiently studied. Be very cautious if you have a cancer related to hormones, like testicular and ovarian, among others. If you have these cancers, liver issues, or high blood pressure, you should consult with a professional before taking maca. Maca has been used for skin issues. For some users, it helps to clear acne and blemishes. Another benefit that some users have experienced is that it decreases skin sensitivity. In hot or cold weather, maca may help skin withstand extreme temperatures.